Do you save on the small stuff but leave thousands on the table without realising it because you think it’s too much effort? Nationwide research conducted by University of Technology Sydney (UTS) on behalf of Heritage Bank explored the spending and saving habits of Australians across a variety of service providers. The research revealed Australians crave the instant gratification they get from saving a few dollars on food and fashion, but are ignoring the potential to save thousands by doing the same on major purchases – because they are too lazy. What if you could save THOUSANDS in one hit, instead of simply trying to save a few dollars here and there on travel, fashion or coffee? It’s great to shop around for bargains, aim to never pay full price for everyday expenses, but what about the big expenses you already have set up via direct debit or pay for and it looks like too much effort to switch? If I could show you ways to save $10,000 this year, would you do it? 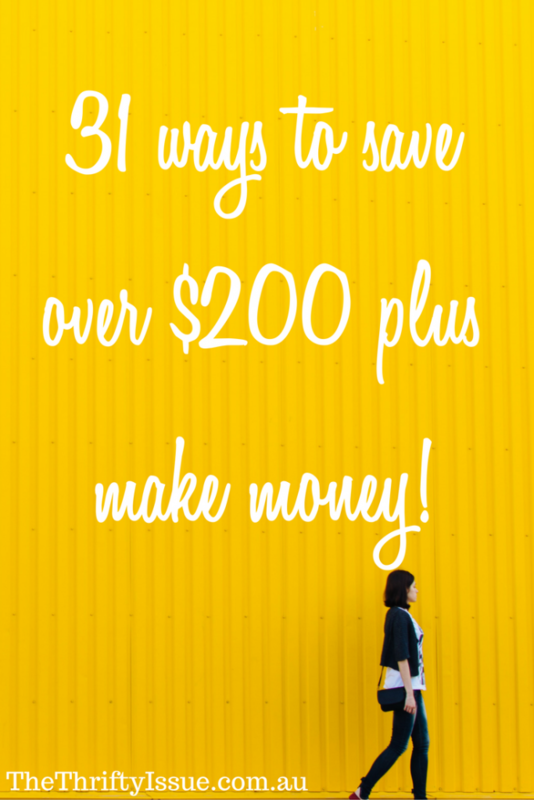 This is a massive post, each tip will include how I have done it, how much I have saved, how much time you need to spend to save the money plus ways you can make money. Also, we have a free PDF you can download with 51 ways to make money from home. If you have a mortgage, when is the last time you check the interest rate, fees, charges and options? Interest rates vary between lenders by over 1.5%! If you have a $400,000 mortgage, with current interest rates, if you are paying 1.5% more than you need to, it will work out to be over $86,000 extra you pay for the life of the loan! More than the average Australian gross wage! More specifically, you could save $2,000 in the first year alone! Most lenders charge under $700 to switch (set up and settlement fees etc), so you’d still be $1,300 in front after 12 months. Plus, if you are paying that extra amount into your mortgage, you will pay it off faster and save even more. When comparing loans, you can use a broker or do it yourself. Check establishment fees, monthly fees, options like offset accounts, redraw facilities and interest rates. Time invested: Between a few days to a few weeks for actual approval. Your personal time investment is a couple of hours for research and paperwork. Savings: $1,300 in the first 12 months to $86,000+ for the life of the mortgage. Make extra money: Check out how to make your mortgage to pay for itself. But you don’t have a mortgage? Neither do I. Last year I moved from a large 4 bedroom home in Canberra to a tiny inner city apartment in Canberra. We essentially halved out expenses doing this, but not through the rent. I wrote about city vs suburbs here. Can you rent somewhere cheaper? Do you really need all the bedrooms you have or would a smaller place work? Where I live, I could rent for up to $200 less than I currently pay and most of the time, when friends have looked they have found places for less than they currently pay. The reason I pay more for rent is because of other amenities. If you can’t rent cheaper, can you rent somewhere for a similar price that includes more? Our place in Canberra was large, had a pool but required a lot of maintenance. Our unit in Melbourne has a pool, gyms, saunas, steam rooms, a BBQ area, function rooms we can use for parties or business meetings, commercial kitchen, games room and Foxtel. For the same price in rent, we now have amenities we used to pay over $250 per week separately for. Plus where we now live, we don’t need a car and save in many other ways. On rent, with those amenities and not including all the other savings such as no car and buying from the markets, we are $50 in front each week now. Alternatively, can you get a flatmate (read 14 tips for renting a room first!) or rent the driveway, garage or anything like that? I have made $50 a week renting my garage and over $250 a week renting a room. My preference is to rent rooms through AirBnB or get a regular boarder through Facebook groups. Time invested: Each time I have rented out a room, it’s taken maybe 1 to 2 hours effort. Moving house is a completely different matter though and takes days to search for a new property, pack the house, clean and move. Savings: $50 to $200 per week in my circumstance, or $2,600 to $10,400 a year! Make money: Rent out a room, garage, anything. Try my tips for AirBnB to get you started. I have had private health insurance since 2012. During this time I have used the hospital option a lot, however, we didn’t use the extras much. We did a comparison, changed our plan to incorporate only what we need and are saving the difference. We also changed the excess from $500 to $250. Total savings from now on will be $2,340 per year and it took less than 10 minutes to compare, switch and save money! Make money: place the savings into a savings account or on debt to continue to make/save you money. Plus, look out for health insurance switch deals, or health insurance that offers bonus points for a loyalty program you are part of. The best health insurance for me made me an extra $100 when I switched. Make sure you are adequately insured for either home and contents or at least get renters/contents insurance if you rent. Compare to make sure you are insured enough to replace everything, have specific items listed if needed and do a comparison to make sure you are getting the best deal. Last time I compared, I saved $200. Make money: you can’t make money from house insurance, however, if you need to use it, you’ll appreciate it. I was robbed one year, right near Christmas and while it was a nightmare, insurance covered things and made it easier. Do a complete insurance audit to make sure you are covered for what you need and aren’t still paying for old policies without realising it. I know of people who didn’t cancel their old insurance when they switched and they ended up paying double for over a year! Last time I did a comparison, I saved $240 a year on car insurance. When I was under 25 the policies varied by over $3,000! It definitely pays to shop around. Check out how I saved $1,300 on insurance with a few phone calls. Make money: again, you can’t make money off your insurance but it is worth having. In 2015 I had two accidents, neither for which I was at fault. Both combined were more than the value of my car, however as they were separate accidents it wasn’t going to be written off. The damage was visually minor to the panels, none to the engine etc. As such, I took a cash payout instead of repairing the car. You can make money off your car though with Uber and car wraps. Do you pay monthly account keeping fees, ATM withdrawal fees or any other fees? Are you getting a decent interest rate on your savings? Do you get bonuses like cashback for using PayWave and other benefits? If you pay to have a bank account, it is time to switch! Stop getting charged $2.50 to $5.00 for using ATMS that aren’t ‘your banks’. Do a bit of research and make sure you either have cash on you or find out where the nearest ATM for your bank is. Alternatively, find a bank who doesn’t charge you to use other ATM’s if you withdraw over a certain amount. If you have a credit card, switch to a 0% option and pay it off! If you have a $5,000 debt on your credit card and switch to a 0% option, then pay it off in full you save $435 over 12 months. Account keeping fees average $10 per month. If you deposit over $2,000 in many they waive this fee. If not, shop around and find a fee-free account to save $120 per year. Plan your ATM withdrawals and save $2.50 a pop or for many people, $120 a year. Check for cashback options. Some banks off cashback on purchases, many used to do cashback for using PayWave. Shop around and get more money. Request for fees to be waived. If you are charged an overdrawn fee or any other fee, call and ask for it to be waived. Most will do it. $50+ per year for some people. Time invested: up to 30 minutes to fill out forms, process it all and switch. Savings: $725 per year with the above examples. Make money: use sign up bonuses (although, be careful with this as each new sign up make a change to your credit rating. If you want a bonus, Heritage Bank have a $5,000 competition going for new sign ups). Also, check for cashback options from banks. For more information on how to make and save with banks, check out this post. Compare providers and make sure you are getting the best deal. With pay on time discounts ranging from 10% off the total bill to 30% off usage, no one should pay full price for electricity! Average families spend over $2,000 on electricity per year. If you can save $200+ simply by switching, why wouldn’t you? While you are at it, change some of your other habits, like turn things off or unplug them when you aren’t using them, hang your clothes to dry instead of using your dryer and try these 19 tips to keep cool instead of the air conditioner. Make money: check switching bonuses, such as $100 sign up credit, gift cards and other offers to make a little extra cash when you switch. 8.) Do you know your discounts? Some bills give a discount if you pay on time (as shown with electricity above). Some places have amazing loyalty programs with great discounts, this goes for everything from groceries to travel. Check out 10 ways to get coupons and discounts in Australia for more information. If you are on a pension or have any sort of pension/healthcare card you can get free travel, discounted rates, discounted medicine, free medical care, no interest loans, 5% off at Kmart on the first Wednesday of every month and so much more. Check the complete list, with relevant links here. Make money: swap or sell coupons, discounts or giftcards for cash if the program allows. We have a complete list of Australian loyalty/VIP/reward programs here (let us know if you know of any others). Feedback from our readers tell us most people save or make on average $500 per year through these programs. Make money: some like Flybuys can be converted to cash. I worked out my beauty routine would cost $12,000 if I paid professionals all the time – hair colour, manicures, pedicures, facials, waxing, beauty products etc. Instead, I do most of it myself, buy beauty products on sale, colour my own hair etc. For a body scrub, I like oil and sugar (or mix coffee grounds and oil). I use coconut oil as a moisturiser, hair treatment and all-rounder. I buff, file and paint my own nails and cut my own hair. The average woman spends $3,600 on beauty. Start doing some of your beauty yourself, shop around and save a few thousand a year. I know a few women who group together to help each other do spray tans, colour hair, do nails etc. It works well for them and is significantly cheaper. That said, if needed, leave some things to professionals! Make money: some people have made money selling their own beauty products or through offering services to others within their circles. Chances are you have a car loan or are driving a car that is costing you more than it needs to. In January we sold our Xtrail, cleared the car loan, stopped paying for petrol, insurance, maintenance etc. It was a huge relief. Look at ways you can reduce your car expenses such as driving less, combining errands, walking everywhere you can, keeping it maintained, keeping an eye on petrol prices to ensure you pay less etc. Make money: try Uber, or rent your car out when you aren’t using it to make money from your car. I stopped paying $300+ for glasses over 5 years ago when I discovered online glasses from places like Zenni Optical. They start at around $10 a pair and are exactly the same as glasses bought at an optomitrist. Get your eyes tested, ask for the prescription, including the PD (pupillary distance), then order your glasses online. Time invested: 30minutes searching for the glasses you like online and uploading a picture of your face to see how they will sit. Make money: Zenni have a refer a friend offer where if you recommend them to friends, you can get $5 per purchase. Groceries can get out of control if you let them. Create a menu plan, shop at markets, eat simply and buy in bulk in sales. I have a family of four, we spend less than $150 a week including alcohol, cleaning supplies and catering for dietary requirements (gluten free, slow carb). I wrote our tips for spending under $150 a little while ago. We now spend less as we have pretty much stopped drinking alcohol or Pepsi Max at all, my partner is doing a training program, so some of his meals are protein shakes which are about 50cents a shake. The last few weeks we have spent under $100. The average Australian spends over $300 per week on groceries. Make money: you can make money by doing grocery shops for others as you do yours, or through loyalty programs mentioned before. Get a few basic pieces of equipment like some weights, a kettlebell and bench to work out at home or shop around for a better deal on your gym membership. Also, look at options like joining a team sport such as football, netball or basketball which means training during the week as well as games to keep you fit. Walk further or look at options where a few of you get together and workout at local parks, (many have fitness options now). Make money: get trained as a personal trainer and be the one to run classes instead of paying to be trained. When is the last time you compared to see how much you could save with your phone and internet? Prepaid often works out cheaper than a contract now, plus if you have been on a contract for a while, and it has simply continued to rollover after the contract period, you could be paying more than necessary. One friend was on a $75 a month plan which continued at the end of the contract term. When they looked into it, there was a $50 plan that was better than the one he was on so he switched and saved $25 a month. Get rid of your home phone unless you really need it. I don’t even remember the last time I used or called a home phone. Compare your internet plans and make sure you are getting maximum value (and quality) for your budget. Last time I shopped around the difference was $40 a month between the plans I was considering. Time invested: 30 minutes to compare and switch. 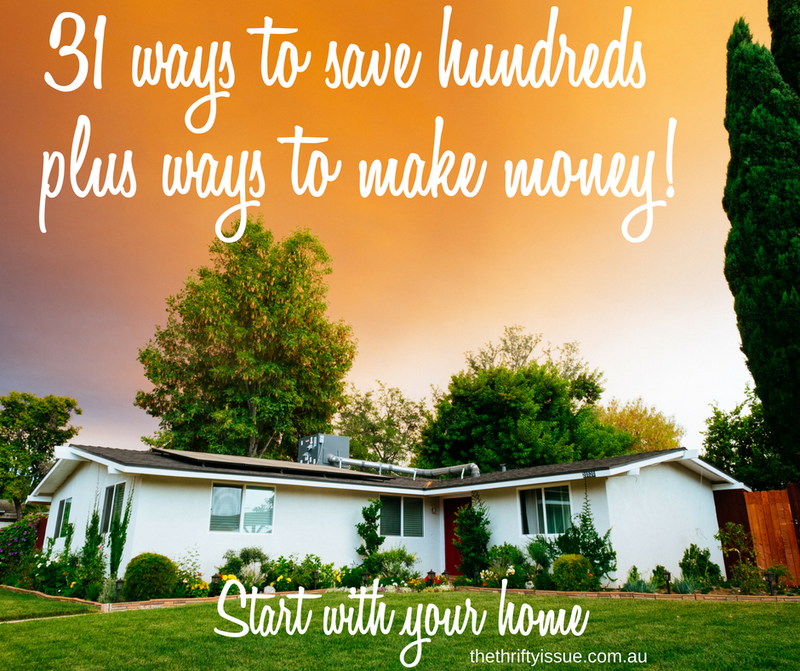 Make money: we have shared loads of ways to make money online or with your phone such as the best Australian online survey sites, 101 ways to make money from home and 10 ways to make $1,000 this month. Are you keeping track of your work expenses and what you can claim on tax for your industry? Things like laundry, courses, travel, computers, phones and some meals can all be claimed plus a whole lot of other things, depending on your job. Find out what things you can claim and keep accurate records. Add to this, get to know things about where you work and look at how you can save the company money as well as yourself. Time invested: 30 minuted to find out and a few minutes to keep track using the Tax app. Make money: ask for a payrise. If you are saving the company money, are great at your job, know your worth and have checked to see what the pay scale is, ask for a pay rise. Ask for discounts, politely and be ready for rejection. When it comes to clothing, I often do this. For example, in a David Jones sale my partner really wanted a shirt, but it had a drop of who knows what on the shoulder. I asked, as it was the last size if there were anymore and because there wasn’t they offered to discount it further. The shirt cost $20 instead of $80. Another time there was pen on a shirt in Portmans at a DFO, no other shirts in my size. I asked for a discount and saved $5. When I was making some large purchases at The Good Guys, I asked for the best price on everything, compared online and as I was spending so much I saved thousands in one hit. Don’t be afraid to ask for a discount, just be sure to be polite about it and understand you might get rejected. Make money: if you wanted to, you could get the super discounts then resell items, but I am not totally comfortable with that. Over your working life, the wrong superannuation account can cost you thousands, as much as a few years worth of wages! Compare and make sure you are getting the best deal. Also do a search for lost superannuation to consolidate your accounts, save on fees and earn more. While you won’t see this money until you retire, you need to make it work for you now in order to get maximum benefits when you retire. Check lost super though your MyGov account. Time invested: under 30 minutes to check, apply and switch. Make money: check how your super is invested and change the investments to make your super work harder and make you more money. How often do you purchase something to only use it once? Weddings or special occasions where you need a nice dress, camping gear, snow gear etc. Look at borrowing instead of buying. The only downfall with this is if you do damage or break someone else’s stuff, you need to replace it/pay for it. Make money: if you are the one with things people want to borrow, there are communities online you can rent your stuff out such as Open Shed. Everywhere we go our kids have snacks and a drink bottle packed, if we are going out for the day we make sure we pack a lunch and my partner comes home at lunch to eat here instead of buying lunch. All up, we save $200+ a week compared to when we have bought food when out. Sometimes we budget in a cafe or lunch out, but for the most part we pack our food. Time invested: it is quicker to pack a lunch than order and wait for take away food. Make money: you can make snacks and sell them at markets if you want, there are a lot of rules and regulations you need to check into though. I know of people who make slices, cakes, muffins, cookies, sandwiches etc and sell them at their workplaces. Check what is and isn’t allowed where you live and work. Instead of paying to go out to clubs every weekend or have dinner out, look up events in your area either with your local tourism board or check the events section on Facebook. We constantly have free festivals and entertainment where we live which saves us a fortune on entertainment. We also have hobbies such as exploring our city (usually walking between 10km and 40km any given weekend checking out our city and attractions), photography, op shopping etc. Our hobbies are simple, mostly free (photography costs a fair bit as my partner is a professional photographer, however it is income, so we earn more than we spend on it) and we enjoy them. Time invested: 30 minutes to research things to do in your area and plan them. Savings: $200+ per week on entertainment or over $10,400 per year. Make money: if you have a hobby like photography there are many ways you can make money such as selling pictures online, bartering for other services, or getting paid to travel. Plan your gifts ahead of time. Work out who you are buying for, what your budget is, what gifts you would like to give them and how you will get those gifts. Make gifts if they will be used and appreciated such as slices, biscuits and cakes, or sew gifts like this cute reversible apron, a Disney princess inspired top, a chocolate bouquet or a note cushion. If you aren’t making gifts, use reward points, VIP discounts and sales to get presents worth $100 for $20 or less. Make money: get good at what you make and look at selling it on Etsy, Facebook or setting up your own store. Often we can buy things from overseas for a quarter of the price of what we pay here plus it arrives in the same time frame. A recent example is saving $200 on a camera lens by buying it online. Always compare prices online, look for free shipping and other bonuses then purchase what you need. Make money: you can buy things online and resell. I bought a book on eBay for $25 and sold it elsewhere for $85. Bartering can be a great way to save money, however it requires some time and effort on your part in exchange for whatever you are swapping. You can arrange bartering through friends and family or check out websites which allow you to exchange services. Usually you need to exchange like for like, so whatever you are doing will ‘cost’ you the same as you would be saving, however money is not exchanged so it can save you money that way. Time invested: depends on what you barter. Savings: depends on what you barter. Make money: it’s bartering, the whole point is no money. How many little subscriptions do you have that you could cancel? Log into PayPal and cancel any subscriptions you don’t use or forgot you signed up for. Often it isn’t until the payment is taken out again that we discover the subscriptions. Do the same with your bank account to check for small payments that might be coming out and unsubscribe from emails to reduce the temptation to spend. You can use unroll me to unsubscribe from emails easily. When I cleared my subscriptions for things I knew I was not going to use the following year, I saved $650. Time invested: 30 minutes to a couple of hours depending on how many you need to go through. Make money: you can’t make money clearing these subscriptions, but it can give you ideas for your own subscription service later. More places are offering pay on time discounts which can be as much as $200 a year. Another bonus of paying on time is no late fees! Late fees can be small like 1% of the bill or large like $100 per day you are late. Read the fine print of everything and make sure you pay on time. If you can’t pay on time, call and make arrangements to pay asap. Time invested: a few minutes. Savings: $10 through to hundreds. Make money: no options for making money with paying on time. If you have a credit card, check the bonus extras or offers it has such as free extended warranties on purchases or travel insurance. By having a credit card with these options, we have saved $500+ at different times. Time invested: 10 minutes to check. Make money: you can’t make money from this option. Sites and apps like AirBnB, Uber, Couchsurfing, library or book swaps, flexible car renting options including renting directly from owners, Open Shed and others save you loads of money. Our trips with Uber are usually 50% of the price of a cab (except if there is surge pricing), accommodation with AirBnB has been significantly less than hotels, Couchsurfing is free. Check out the sharing economy and all the ways you can save money with it. Time invested: depends on which option you choose to use and how much you do it. Make money: Uber drivers make on average $30 an hour, car next door makes $6 per hour or $30 a day, AirBnB users make on average $7,000 a year. Do you know where your areas of weakness are? If so, get rid of them. Delete apps you spend too much money on, clear your history, unsubscribe from emails so you don’t know about sales. Check out this post on ways to cut temptation. By getting rid of your temptations you make it easier to save money and can save thousands a year. Time invested: minutes to do a quick temptation block. Find out exactly what you are spending on everything then go over it and see where you can reduce spending, what you need to compare prices on, what your weaknesses are and create a plan of attach to live within your means, clear debt, save money and do things in life you want to do such as holidays, buy a house or a car. Make money: once you know how much you are spending, have worked out how to reduce all yoru expenses, look at the ways you can increase your income to help you reach your financial goals faster. Check out all the articles in our make money category here. Once you know where all your money is going, set a saving goal such as $1,000 or $5,000 in an emergency fund or $10,000 for a new car or $50,000 for a house deposit. Break it into small chunks of cash and set up and automatic deduction each week or fortnight to your account for that amount. It might take a while to reach your goal, but if you automate it, you will achieve it. Time invested: 10 minutes to set it up. Savings: as much as you decide. Make money: put it in a high-interest account and make extra money on it. 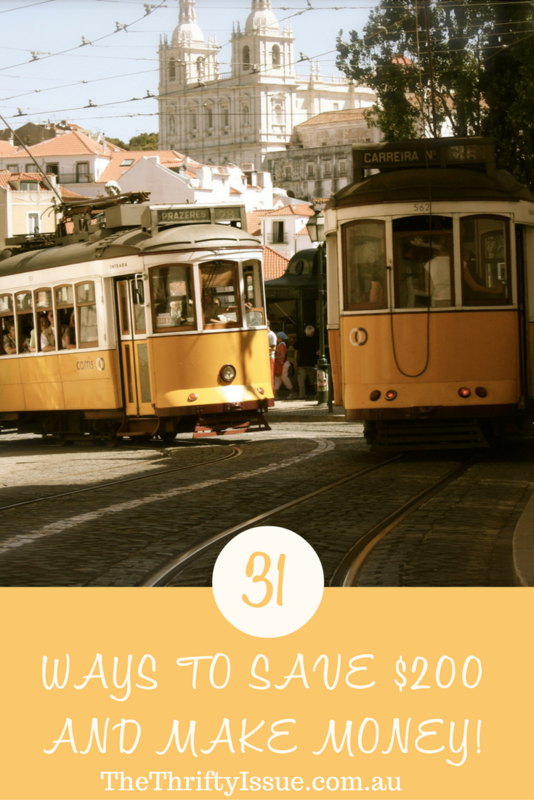 Linking up with Finding Myself Young and The Annoyed Thyroid. Check out both sites and all the incredibly bloggers who have linked up useful tips, articles and recipes. This is brilliantly helpful – especially as I’m currently trying to cut back. I think the theme for me that I loved in a lot of these is to keep comparing and getting better deals on products like insurances. I tend to do all my research up front and then always stick with the same providers instead of continuing to look around for better deals. Thanks, Mim! I think most of us tend to research up front then set and forget. Even if we compare when a renewal comes due instead of trying to set aside time regularly to compare everything it will save us money. Wow! So many excellent tips and just when I’m about to have a heart attack over Christmas expenses – a very timely post for me! So glad they helped! Christmas is an expensive time of year for many. Wow! So much great info about saving AND making money. Thanks so much for sharing this. Great post! It’s amazing the different ways that you can save if you really take the time to look. Thanks Leancia, there are so many ways we can make and save money if we simply look more. Amazing tips there Kylie and so many of them too! I recently bought a trampoline and a swing set with flybuys points, saving me $400. I’ve been in the scheme since it started back in 1994 and have been able to save thousands over the years – it’s so easy for the points to add up. That’s fantastic! It’s amazing how quickly the points can add up. These are truly helpful tips for residents of Australia or expats living in Oz. I personally would add housesitting jobs to this list, which result in free accommodation whenever you have no fix address or are travelling around Australia for a while. Great tip! I used to housesit when I was a teen/young adult (before kids). It was a great money saver. I have a few friends who do it a bit too. Wow! What a brilliant list. I have just done an overhaul on expenses. The last thing I have to fix is my health insurance but I am a little concerned on changing providers even though it is half the price with nearly the same benefits! I just switched, but was forced to really because my provider I had been with for nearly 5 years was not a preferred one for the hospital my surgeon operates at and I have to have annual surgery. Check with your current one if they will match it, but go through the cancellation team or do the ‘switch’ then when your current provider is notified, they will call or ask you to call and it’s a different number. The customer care people on the end of that call have more power and can do more than when you ring to ask, if that makes sense. Because if you have already made the switch, clearly you are leaving. All fund have a 30 day cooling off period though, so your original fund can offer to sweeten their deal to keep you and you cancel the one you were switching to at no cost. I hope I explained that properly! My husband and I are on a seemingly never-ending journey to be debt free, and I always appreciate new ideas. Thank you! these are really helpful – I need to work on this. Thank you for sharing! Thanks, Jaycie. Glad you like them! This is a fanstatsic list! And so good to see an Aussie take – many finance blogs are US based but the tips sometimes just don’t apply here. My electricity is overdue for checking (I assume, mostly because I can’t remember the last time I checked it). Our food budget is $200 per fortnight. I own my car outright so I only have maintenance/insurance costs on it. I envy your ability to have moved from a large house to a small unit but never in a million years could I do that. Our two bedroom house now is too small for us. I need space around me. Plus we have a dog and units are so pet-unfriendly. And I don’t like being close to other people! Thanks Vanessa! It was a huge change but we love it now. Small space living definitely suits us. I look forward to buying a unit and being able to implement the space saving hacks I have that I can’t do here while renting. And true, they are pet-unfriendly. We had to give ou chickens back to the farm when we moved, but we visit them occasionally still. We already do quite a few of these things. I married a tight arse…erm.. I mean, an accountant, so he’s pretty switched on with this stuff. However, I could probably save a bit more on groceries and a few little things. Great tips! Haha. I love it! He’d be great at times I am sure for money saving things. These are so helpful! Thank you for sharing 😀 I have always hang dried my clothes, that is a way I have always saved money. Also, planning a menu for the month prevents us from going out to eat – also saving money. Menu planning makes a huge difference to the grocery budget! And yes, hang drying clothes definitely impacts the electricity bill. I’m always looking for ways to cut back and save money. These tips are super helpful, thank you so much for sharing! This post was incredibly helpful! Even though I live in the states, I’ve got some new ideas now that I plan to explore further. Thank you for sharing! These are all amazing tips! 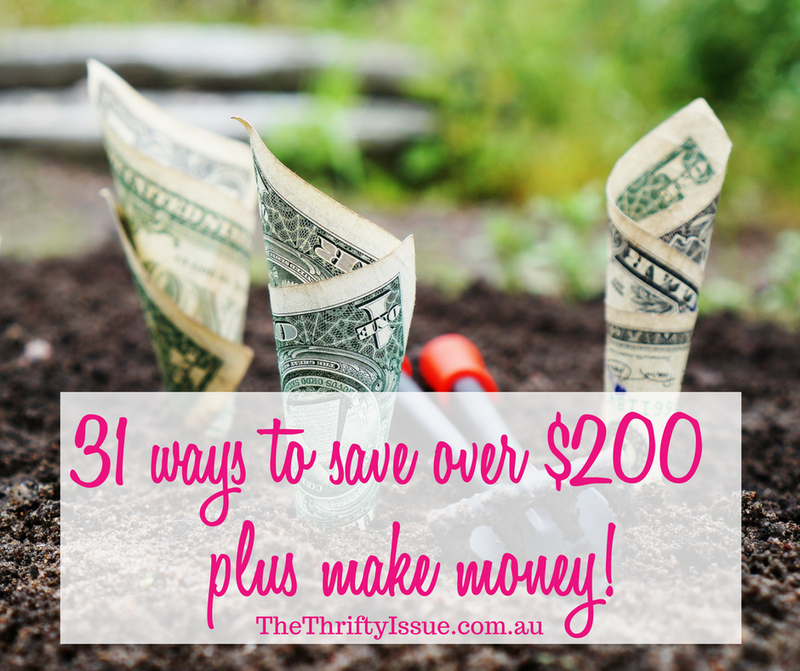 I love saving money and sometimes it is hard to find a place to start. Great tips! I always love to find ways to save money! Hi! My and my partner actually did a lot of these advices a couple of years ago and it actually worked! So for all of you who reads this: you can save thousands and thousands of dollar! It only took one day for us to make all the calls. Great advices! Wow, I am impressed with all these tips! Thank you so much. I always ask for discounts because you just never know! 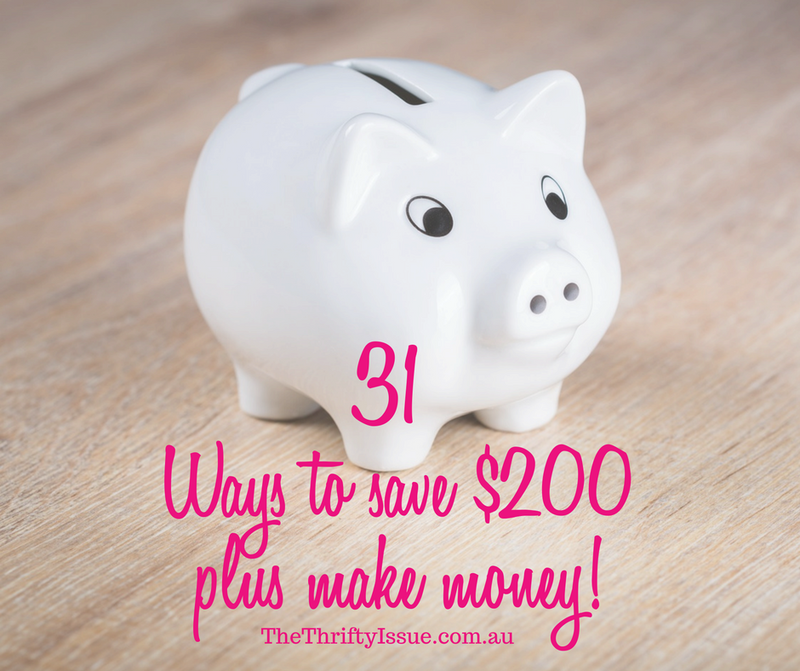 There are so many ways to save money especially when it comes to purchasing goods. We just have to know what works for us! I think this is helpful! Wow what a great list! I’m saving this for later I was to do as many as I can! I am actually checking into loyalty programs and signing up for credit cards with travel bonuses myself. I definitely got “free” roundtrip tickets to europe because of the points! If there’s ways to save money so I can travel more, I’m all about it. Great post! I love saving money especially since I vet to have more budget for my kids. It’s really helpful to keep an eye out on discounts, coupons, and sales! Great ideas! I’m always looking for ways to save. I recently spent about $25 on a cheap haircut and home color instead of my typical $150 for a salon cut and highlights. Quite a bit of savings! These are some great tips. I know I have cancelled my credit cards to only cash. These are great and helpful tips. Can help a lot of people to save money. I will keep this in mind. Thanks for sharing. These are some really good tips. 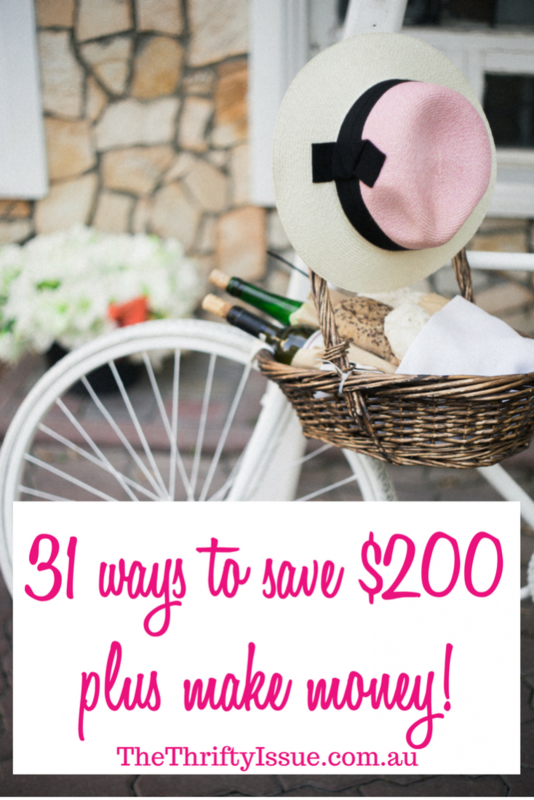 Some I knew of and some are new but I love learning new ways to save! Brilliant Idea. There’s a lot of money saving tips, but the most important thing that you need to keep in mind is that, you are the one who decide for yourself. Just know what you wanted to achieve in life and what you want to do with your savings.